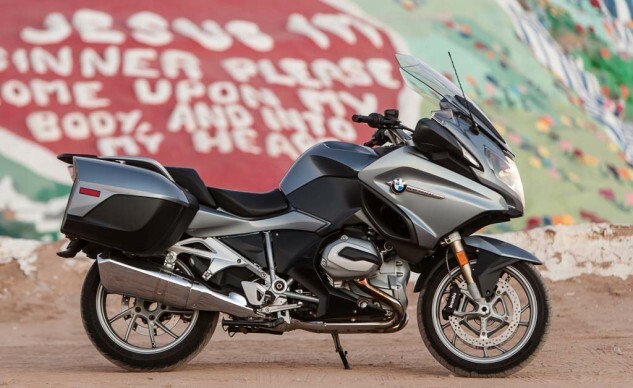 Okay, this makes it three years in a row for BMW’s venerable RT, which actually isn’t all that venerable since it got the 1170cc oilhead Boxer just two years ago. Venerable, though, in that BMW just continues to build amazing motorcycles atop the shoulders of all the great ones that came before. 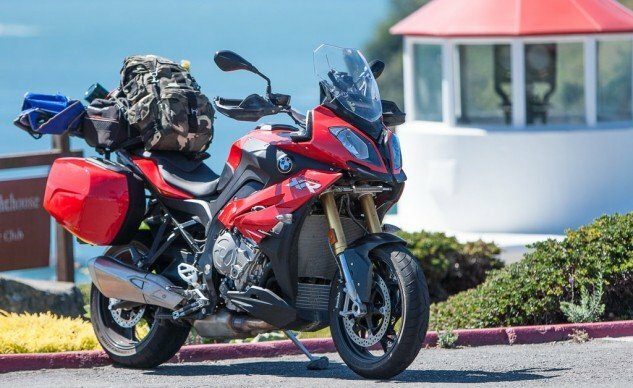 At the end of our 2014 comparison test in which the RT handily beat a Guzzi Norge and an Yamaha FJR1300ES, I wrote: Lucky me drew the BMW straw for the ride home. 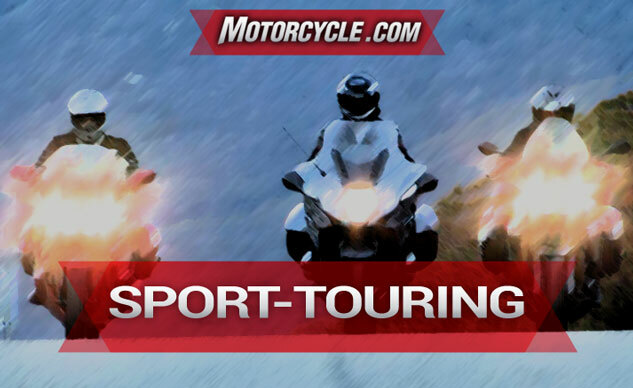 With heated grips and seat set to two bars of five, suspension set Hard and throttle to Road, it was a delicious descent down the dark, winding mountain road through the pines, back into the city lights, back to I-10. Set suspension to Soft, engage cruise control, raise windshield, turn up the Pandora. We’d gassed up in Idyllwild, and the tripmeter clicked over 100 miles as I pulled up to my humble abode. The clock said 10:30. I felt fresh as the proverbial daisy. There is no other land-bound vehicle I would rather have been on or in. Yup, it’s as good as Tom said, and we did the right thing naming the RT Sport-Tourer of the Year. If the BMW RT leans toward the tour half of the sport-tour continuum, the S1000XR definitely tips the scale in the sport direction. While it’s really classified as an Adventure bike, this new BMW has such a broad mission statement we had to squeeze the bike that finished on top of our Nine-Bike Adventure Shootout last year someplace in these awards. BMW did its best to tame the S1000RR 999cc Four-banger for more sedate use, but it still cranks out over 150 hp and a shedload of torque from very low rpm, enough to give the 550-pound XR (with bags!) the sort of power-to-weight ratio frontline superbikes had half a decade ago. Wait, some of them still do. Throw in adventure-bike ergonomics, Dynamic ESA suspension, and a bunch of ride modes that allow the XR to comport itself on dirt roads when venturing off pavement… it’s a very tough act to keep up with. The only fly is a bit of engine vibration that creeps through the XR’s bars and pegs at various rpm, a thing which bothers some more than others and which can be mitigated by hitting the cruise control button. This is the bike for riders who want to go anywhere and do anything – but have a deep-seated need to get there first.